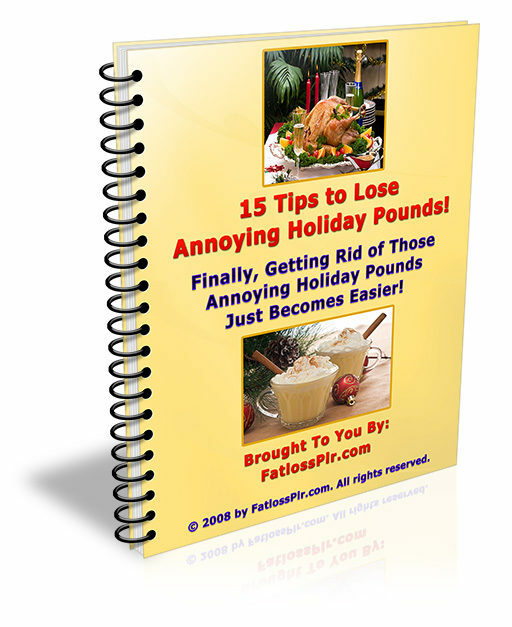 It is estimated that the average person puts on 10 pounds during the holiday season. We eat more often and we eat much richer foods during the holidays, so it is easy to put on pounds without realizing it. We also tend to drink larger amounts of alcohol, sodas and punch, which contain empty calories. Top that off with festivities that include cakes, cookies and other sweets and you can easily put on 10 pounds or more. If that describes you, then you need to carefully read over our next 15 tips for taking off those holiday pounds.